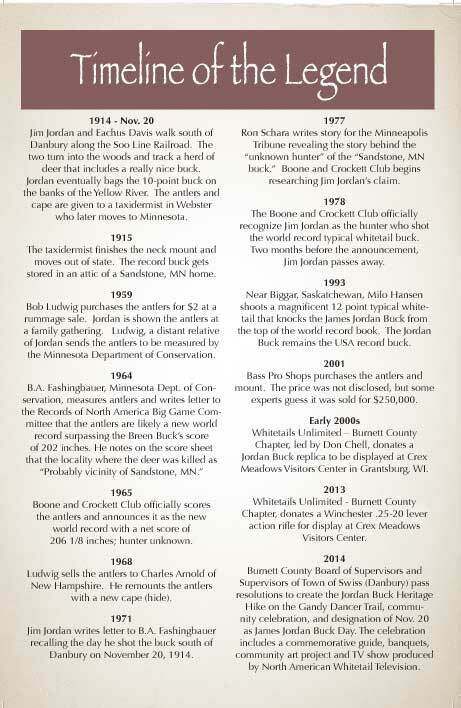 The Jordan Buck Heritage Hike is a self guided walking tour of Jim Jordan's legendary hunt. The 1.3 mile self-guided tour on the Gandy Dancer Trail starts at the north trail head at Blueberry Junction Park in Danbury, WI. 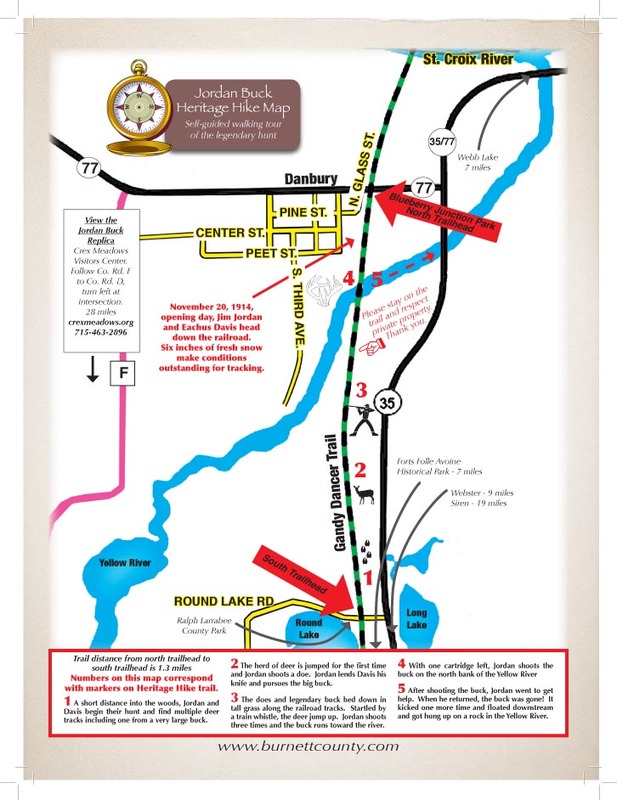 The Trail map shows you where key parts of the hunt occurred with corresponding markers on the trail. 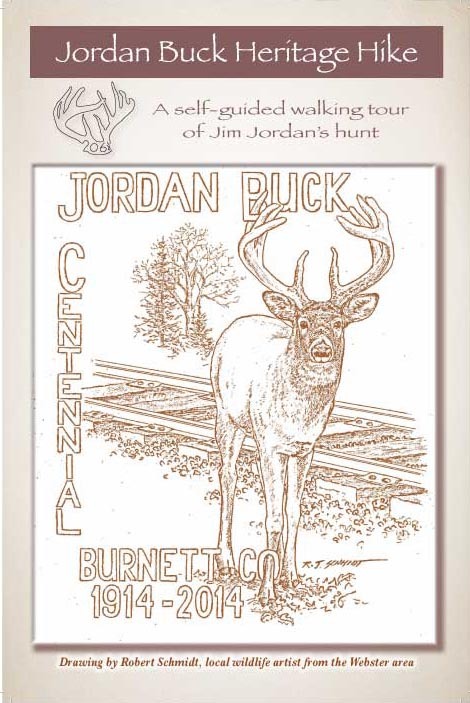 Downloadable Jordan Buck Heritage Hike Map Booklet The cover and timeline print in landscape orientation on 8.5 x 11 inch paper. The map prints portrait on 8.5 x 11 inch paper. The images below show the trail map cover, map, and timeline of events.